Last month DaVita Inc. agreed to settle a long running Medicare fraud case filed by several whistleblowers. The company was accused of overusing certain dialysis drugs. The settlement occurred after the company was called on the carpet for witness coaching. DaVita, and its subsidiary Gambro Healthcare, owns several medical clinics that provide dialysis to patients with kidney problems. A physician and nurse filed a whistleblower suit against the company in 2007. They claim the company was intentionally overusing and wasting drugs used in treating dialysis patients suffering from anemia. By switching drugs and spreading out treatments, DaVita was able to increase its Medicare billings. DaVita was sanctioned last August after a federal judge found the company was hiding evidence about an internal software program used to make treatment decisions. The sanction apparently wasn’t enough, however. Earlier this spring the company was again accused of new misconduct. This time DaVita’s lawyers were accused of coaching witnesses into changing their testimony. Before the court could rule on the newest accusations, DaVita agreed to settle the entire case. DaVita denied the accusations. As we read the complaint, DaVita pushed clinics to switch from the anti-anemia drug Ferrlecit to Venofer because the government paid clinics more for Venofer. The whistleblowers say there was no therapeutic benefit from the switch; they simply made more money by using the expensive drug. The company also forbid clinics from reusing a vial on more than one patient or more than one time. If a patient needed 100 mg of Venofer each month, DaVita decided to use 4, 100 mg vials of the drug instead of using the same vial four times. After each 25 mg dosage, the remainder of the vial was discarded. Think of a restaurant using a single egg out of each carton and throwing out the other 11 eggs. Ripping off Medicare isn’t a victimless crime. In the end, it’s hard working taxpayers that foot the bill. As noted above, the case is currently being settled. Last week, U.S. District Court Judge Charles Pannell, Jr. entered a short order acknowledging that all the parties had requested the court to stay the case pending resolution. It is anticipated the case will be settled within the next 60 days. If this case follows the normal pattern of Medicare fraud cases, DaVita will pay hefty fines but admit no wrongdoing. We will certainly follow the case. 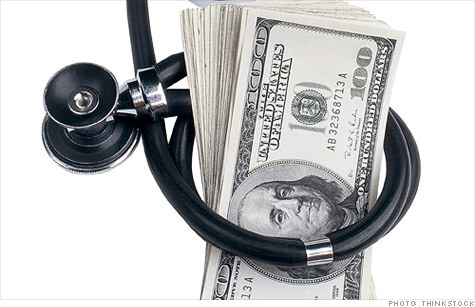 Medicare fraud costs taxpayers billions of dollars each year. As this case demonstrates, deliberate waste can become fraud. Under the federal False Claims Act, whistleblowers with inside information about Medicare fraud can file a sealed lawsuit in federal court. Assuming the suit is successful, whistleblowers are entitled to as much as 30% of whatever the government collects. Since the law allows treble (triple) damages and additional damages of $11,000 for each false patient bill, whistleblower awards in Medicare fraud cases are often huge. If you have inside information about Medicaid, healthcare or Medicare fraud, give us a call. We have helped our whistleblower clients receive over $100,000,000.00 in awards. That’s real money. More importantly, these same clients have the satisfaction of knowing they helped put a stop to greed and fraud. or by telephone at (414) 704-6731 (direct). All inquiries protected by the attorney – client privilege and kept in strict confidence.